Just getting around to sharing a card we created at Stamp Club a few weeks ago. 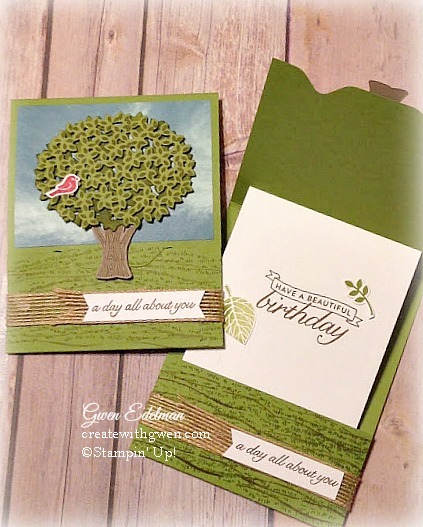 "Thoughtful Branches" (exclusive stamp set and thinlits bundle from Stampin' Up! 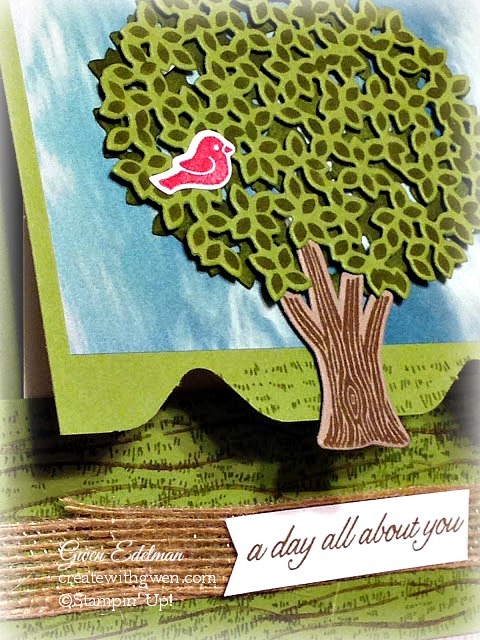 only available through August) is featured in this card! Using the Envelope Punch Board makes it even sweeter because the tab in the center becomes the closure! *Fold up at bottom score and secure with ribbon. *Put adhesive on the ½” fold and attach to inside of the top of the card base right above the 7 3/8” score line as pictured, with the bottom score line fold under. 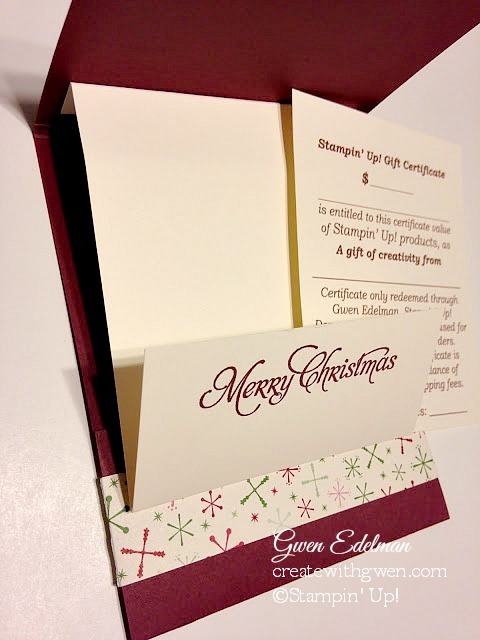 This “gift card” holder pictured below is the same template except the bottom score line of the insert is folded up to hold a gift certificate, then tucked into the bottom of the base. Thoughtful Branches Bundle is only available through August 2016, or while supplies last! It's a keeper Folks! Get yours soon! Click pic for the Envelope Punch Board #133774 $19.95! So versatile! I'm wearing mine out! Yet another busy weekend coming up and am planning our Holiday Catalog Launch Party scheduled for August 31!!! Local and want to join us? Get details and RSVP HERE by Monday, August 15! !